TestLink is an open source test management tool. It is free and ideal for organizations looking for an alternative for HP Quality Center and other proprietary tools. What you need to install TestLink? 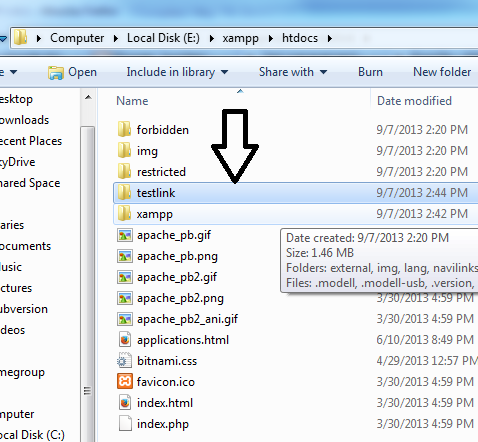 Thankfully there is XAMPP which is available for download here which takes care of the above. The installation for XAMPP is different for Windows and Linux and one must be careful to follow the OS specific guides. After installing XAMPP you just need to drop TestLink folder inside the htdocs folder of XAMPP( On Linux, you just need to copy the folder using cp command in htdocs). Now, you can install TestLink by visiting the URL http://localhost/testlink/install/index.php. To solve Maximum Session Idle Time before Timeout and Checking max. 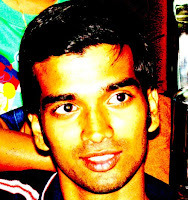 execution time (Parameter max_execution_time) errors in TestLink we need to edit php.ini file. After that restart XAMPP and enter http://localhost/testlink/install/index.php. in a web browser again. 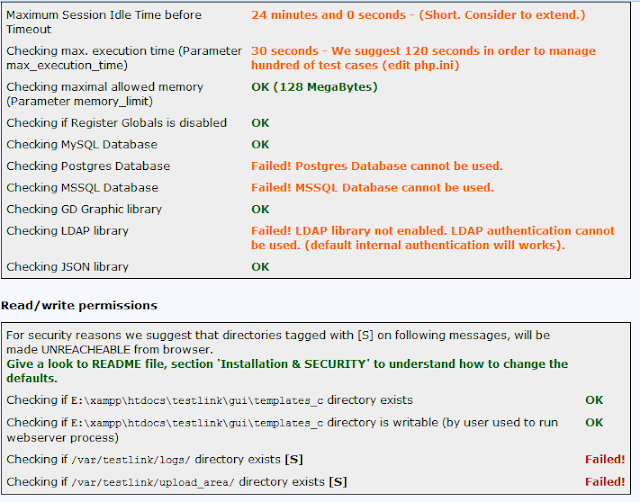 Also there is a page where you need to enter MYSQL root password and you can change this in my.ini file. Enter this password and install TestLink. After installation is successful visit http://localhost/testlink/index.php and enter admin as username and password. This post have helpd to building a TestLink Ansible Role, thank you. Same testlink can be connect to Oracle database instead of MySQL? ?